Long has this weight loss product been available on the European and US market but it’s not until 2012 that Health Canada has approved its sale in Canada as a Natural Health Product. What makes it unique in the category of weight loss products is that it is a naturally occurring molecule in our cells and it is absolutely essential for transporting fat into cellular “ovens” for burning. This is in contrast to the majority of other “hot” weight loss products which are usually not found naturally in our cells and which in majority of cases work in a stimulatory fashion elevating metabolism. This is ok when done to a certain extent but when the system gets overstimulated by the elevation of adrenalin, for example, it may lead to hypertension, heart palpitations, lack of concentration and memory impairment, to name a few. L-Carnitine does none of these things because it is not a stimulatory molecule. It is simply a transport molecule working like a transport shuttle. However, its importance is underscored by the fact that without it, the burning of fat for energy would be impossible. In simple terms, without getting into all the details of biochemistry, L-Carnitine transports fatty acids from the cytosol of the cell (i.e. the area filled with fluid and surrounding the nucleus of the cell) into structures called Mitochondria. These are structures that very much resemble bacteria. In fact, it is hypothesized that sometime during our evolutionary development our cells got infected by these bacteria (which were at that time probably a little different in structure than now) but instead of causing disease or acting as parasites these bacteria developed a mutually beneficial symbiotic relationship with our cells. The Mitochondria use their double membranes to produce the universal energy molecule called ATP and its inner core matrix area to burn fat for energy. In return the cells reward the mitochondria by giving them a friendly environment for their existence. Other strong evidence for Mitochondria originating from bacteria in the past is that they have their own genetic material (in addition to the cellular DNA found in the nucleus). So now back to the science. What actually happens is that L-Carnitine is attached to long chain fatty acids on the outer membrane of the Mitochondria. It is then shuttled across by a special protein to the inner Mitochondrial membrane where the fatty acid and L-Carnitine are disconnected. The fatty acid stays inside the Mitochondria and the L-Carnitine returns to the outer membrane to grab another fatty acid chain for transport. Once the fatty acid is inside the Mitochondria, special enzymes break up the fatty acid chain into its elementary components which are then incorporated into the Citric Acid Cycle for energy production. In addition, L-Carnitine has been shown to have strong anti-oxidative property, especially in its ability to protect endothelial cells in arteries (including the ones in the heart) from atherosclerotic plaque buildup (i.e. the same ones responsible for heart attacks and strokes). Furthermore L-Carnitine diminishes as we age. 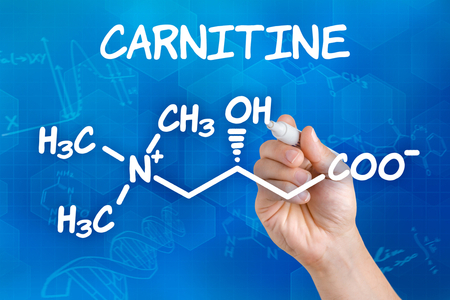 By supplementing with L-Carnitine you are not only providing your body with a naturally found molecule essential for burning fat for energy, but also protecting your heart from the number two killer in our society (i.e. heart attacks and cardiac diseases) as well as preventing a deficiency of this vital molecule. Categories: Metabolism | Tags: detox | Permalink.